Have you ever stopped to consider what solar panels actually do? Okay, they turn sunlight into electricity – most people appreciate that. But let’s stop for a second and quantify what’s really going on. A typical 1 x 1.5 m solar panel (the size of a large flat-screen TV) will produce 250 W of power in strong sunlight. In a typical day, this equates to about 1 kWh of electrical energy generated. Each solar panel on an Aussie roof will provide an average of 1 kWh of energy per day. How can you visualise what that means? Consider a middle-aged man in Lycra riding his bike. He’s putting in a real effort. His heart is pumping, he’s red-faced and sweaty, and you can smell him from the next street. If he’s in very good shape, he may be pumping out an average of 200 W through his legs to propel him along. If he keeps this up for five hours, he’ll have expended: 5 h x 200 W = 1,000 Wh. That’s 1 kWh of energy. That’s right: 1 kWh of energy is the same as one very fit person cycling really freaking hard for five hours non-stop. Jump off the sofa and have a look at one of the solar power systems on your street (17% of homes have solar in Australia, so I’m assuming there are some near you). Picture the fact that, today, each solar panel on that roof will produce the same amount of energy as five hours of hard slog on a pushbike. If the homeowner bought quality, they’ll do that every day for the next 30 years, using no fuel and needing no maintenance. If you were to do the job of just one of those $250 panels yourself, it would be a full-time job – and imagine the food bill! Solar panels are now so commonplace that we take them for granted. We shouldn’t. They are truly amazing, and I strongly believe that we have a duty to only buy high-quality ones that will last for at least 30 years. It breaks my heart to see cheap, low-quality panels sent to landfill after just a few years, when for a few hundred dollars extra the homeowner could have bought panels that would have lasted for three decades. Thirty years on an Australian roof is a big ask. Heat, humidity, hail, possums, monsoonal rain and even cyclones – they all do their best to destroy those panels as they go about their business generating electricity, day in, day out, saving you tens of thousands of dollars over their lifetime. To last 30 years, a solar panel has to be incredibly well made with excellent-quality materials and components. The cheapest solar panels, made to a price, will be unlikely to last that long. Solar panel construction – at a high level – is simple. You sandwich 60 or more solar cells between two clear polymer sheets. Then place glass on top, a thicker, opaque plastic sheet underneath, and frame the lot with aluminium, as in Figure 5.5. What could possibly go wrong? Lots. I’m not going to bore you with an in-depth study of all the ways a solar panel can fail: if you buy well, you’re highly unlikely to see any of them. But just appreciate that the guts of a typical solar panel are made up of 60 beermat-sized, brittle cells less than 1 mm thick with many amps of current going through them for more than eight hours a day. They sit on your roof exposed to the Aussie sun, storms and heatwaves. 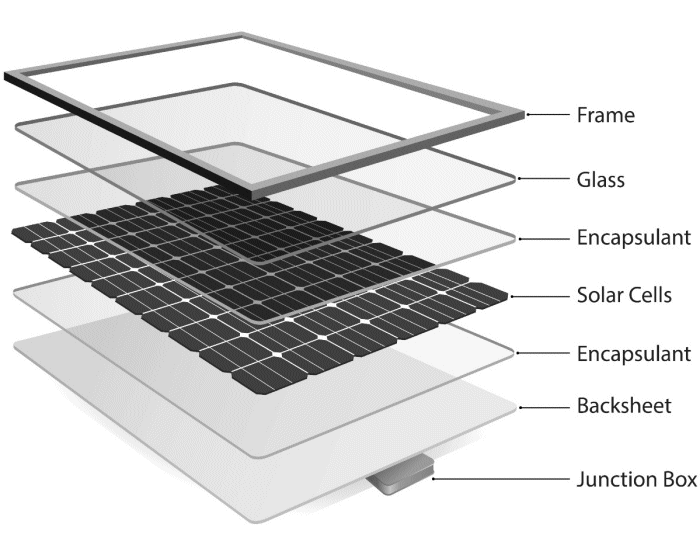 Figure 5.5 Composition of a conventional solar panel. It’s easy to build a panel that works well and looks good when it comes out of the box. The proof comes after it has been on your roof for two or three years. If any of the materials are substandard or they haven’t been tested for Aussie conditions, the panel slowly starts to self-destruct – usually due to temperature stress, UV degradation, water getting in, or all three. If this happens in a solar panel with up to 600 V of DC going across it, the results can quickly get nasty. Unfortunately, there are dozens of solar panels offered by brands in Australia that appear to be made for a quick buck. They are made to a price, and that means cutting corners with materials. They’re highly unlikely to last five years – never mind thirty. 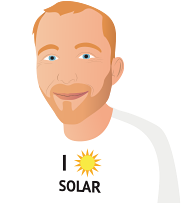 And to compound the problem, most buyers wouldn’t know a good solar panel brand from a crappy fly-by-night one – and why should you? Luckily for you, there is a solution.